With MetroFax’s exclusive “Metro Dashboard,” you can send and receive from a web browser, with a tablet or smartphone, or directly from Microsoft Office—Outlook, Word, and Excel. One thing MetroFax isn’t all that friendly to is fax machines. Their videos casually disdain the old fashioned fax machines, citing how much time and paper they waste compared to modern systems like email. You have your choice of porting your number or picking a new one, including toll free faxes. To send a fax over email, just send the email to e.g. your-number@metrofax.com. Whatever information you put in the body of the email becomes part of the cover page, and you attach word docs, PDFs, and other compatible formats. It works with any email client. To receive, you can use the MetroFax Dashboard, or to receive a fax as part of an email which gets sent to your inbound number. You can link ten different email addresses to one fax number. MetroFax has a free trial of up to 500 pages in 30 days. 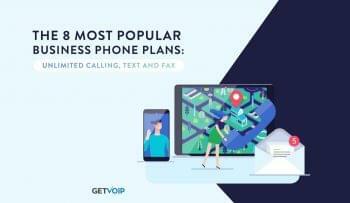 Like many VoIP providers, you have the option of a month-to-month contract or a prepay. The lowest price is $6.63 a month, or $79.50/year for up to 500 pages. They also have two higher tiers, the most expensive is 2500 pages for $359.50 a year. Toll Free numbers come at a small premium. Note that both inbound and outbound faxes are counted towards your fax limit, and extra pages are 3 cents a page, which is quite reasonable. They also have 170 international fax destinations. On another note, MetroFax has put its best fun forward. Their web page, in addition to all the prices, features and benefits, has a number of pleasant distractions. There was a blog page of fun things left, intentionally or otherwise, on office copy machines (one was a how-to guide for avoiding zombies), there were also several infographics about how many trees have been used for faxes, how to have a happy office, and, ironically, one on how to stay productive at work without being distracted. There were also more traditional pages that had news and business tips. In conclusion, MetroFax has embraced the slickness of the modern office and has a casual disdain for older technology. They also embrace the best in savings and productivity tools that the modern office has, too. They advertise a 50% savings over analog fax machines, and have no contracts or activation fees. You can manage your account online, just like a VoIP account. 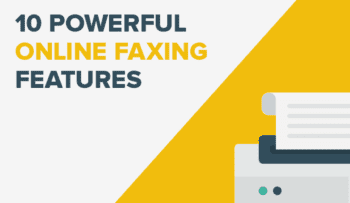 MetroFax is a great choice for any company looking to pull the plug on their fax machine.